The mission of Aaron's Gifts From Home is to provide food, snacks, personal hygiene items and entertainment, for example books, toys, Dvd's, Cd's as well as other items, which include batteries, socks, scarfs, hats, blankets, pillows, and hand warmers to any and all currently deployed military personnel on a year round basis. Simply, to improve the morale of American Troops serving abroad by sending care packages to deployed troops. We send to Afghanistan, Iraq, Kuwait, Bahrain, Korea, Japan, Cuba, Africa and ships at sea, or wherever they are on deployment. Classified by the Internal Revenue Service as a 501 (c) 3 non-profit organization. Federal Tax I.D. number: 46-1763058. 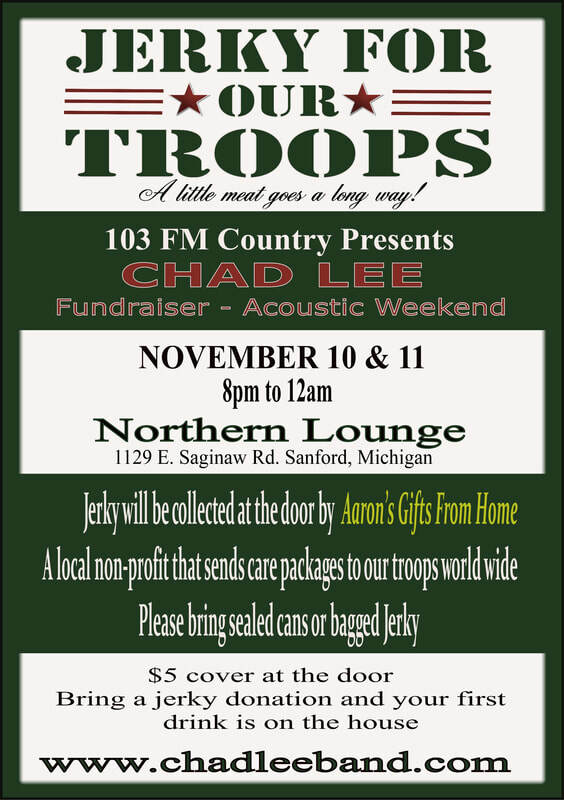 November 10th and 11th from 8:00pm - 12:00am Hope to see you there!